On 26th September 2016 the MODIS sensor on The TERRA satellite captured this beautiful image of South Georgia, with Iceberg A66 drifting past. Iceberg A66 passing South Georgia captured in a MODIS image on the 26 September 2016. The image is available on a KML file on the MODIS Websites. The iceberg A66 is about 15 km at it's widest point in this image. We can do a bit simple maths. 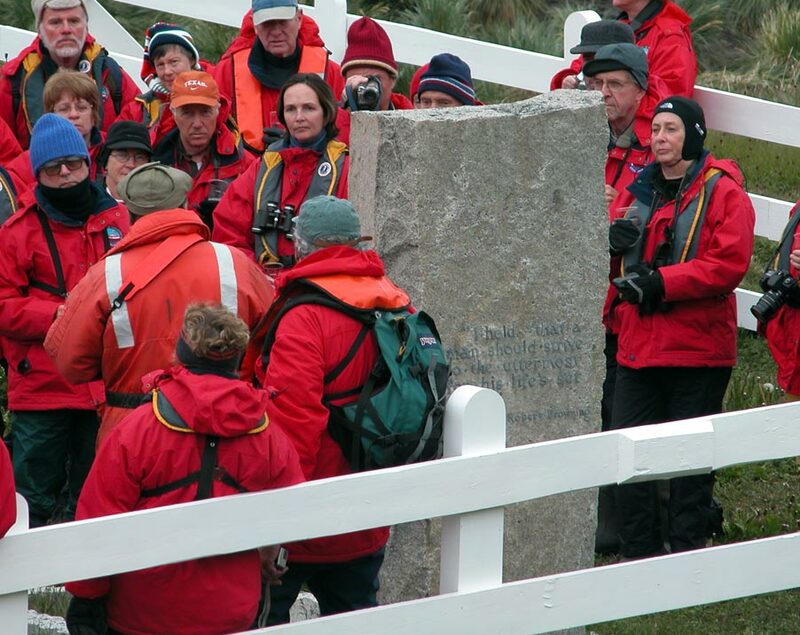 Estimate the iceberg has a 200 m thickness and it is triangular in shape with a base of ~4 km. the volume = 0.5 x 15 km x 4 km x 0.2 km = 6 km3. So the relatively small A66 contains of 6000 gigtons of water. It's a lot. But it's not a lot. Icebergs get their reference number depending on where they originate from. This one has an identifier "A" which means it came from the sector 0° to 90°W - that's the Bellingshausen and Weddell Sea region. 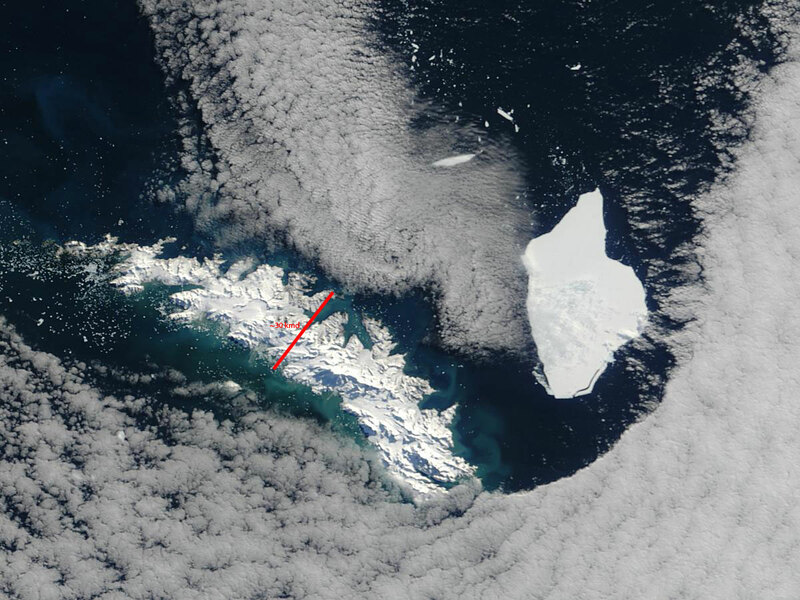 You can track icebergs like this both visually - like in in the image above - or using something called a Scatterometer. A scatterometer can measure the winds over the ocean, and because the winds change over the ice one can track the icebergs. 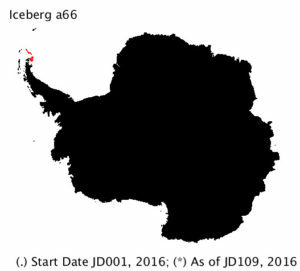 Prof David Long at Brigham Young University provides an excellent database of Antarctic iceberg data based on that idea (this is their research paper on how they do that). If we look at the location data from the ASCAT sensor you can see that A66 is at the tip of the Antarctic Peninsula - but this data is only from this year. I will have to dig a little deeper. A job for later. Once the icebergs reach the edge of the Weddell Sea they get to South Georgia very quickly. I did write about that in a paper in the OU database Physical oceanography in the Scotia Sea during the CCAMLR 2000 survey, austral summer 2000. 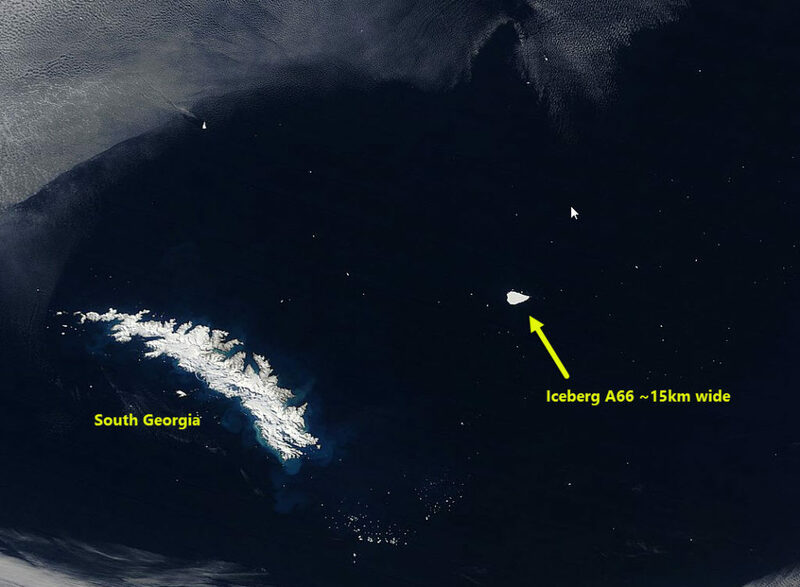 And some of these icebergs (although not A66) ground at South Georgia and ultimately can affect the ecosystem. 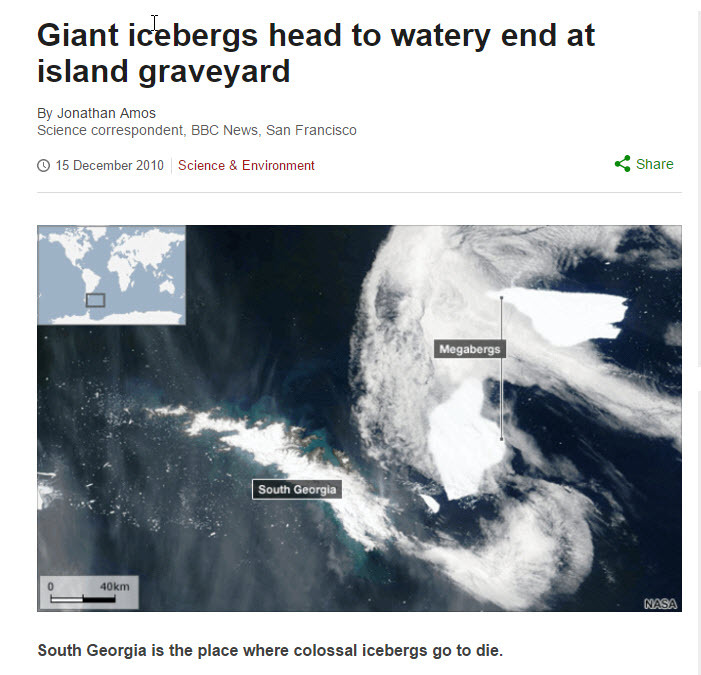 Jon Amos wrote about some work I did at a San Francisco conference in 2010 about that - it's still available on the BBC website: Giant icebergs head to watery end at island graveyard. Overall A66 is nothing special, this is not an unusual observation. It is a beautiful image though. Posted in Science. Tags: A66, iceberg, South Atlantic, South Georgia, Weddell Sea on September 27, 2016 by Mark Brandon. I do like Google streetview and often use it if I am going somewhere new to see where I am supposed to be heading. So it's really nice to see it at South Georgia in the South Atlantic. 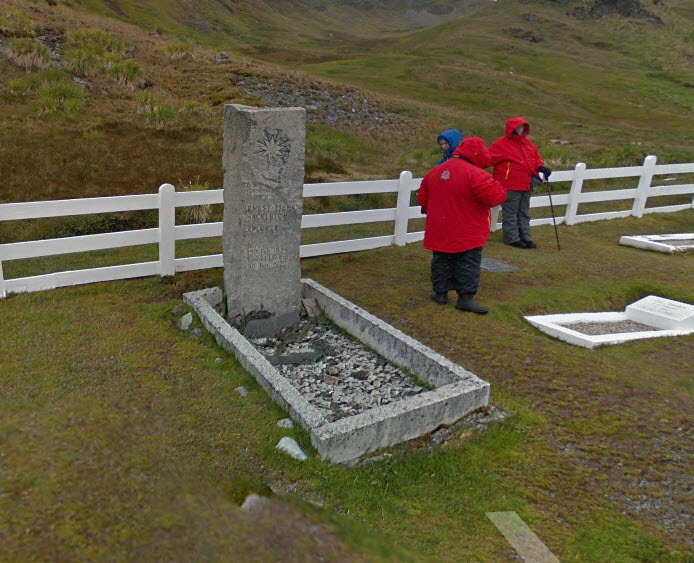 The landing page has links to various locations, but I particularly like this one of the grave of Sir Ernest Shackleton. It is a bit clunky as the poor person doing it had to cope with poor weather and moving tourists. 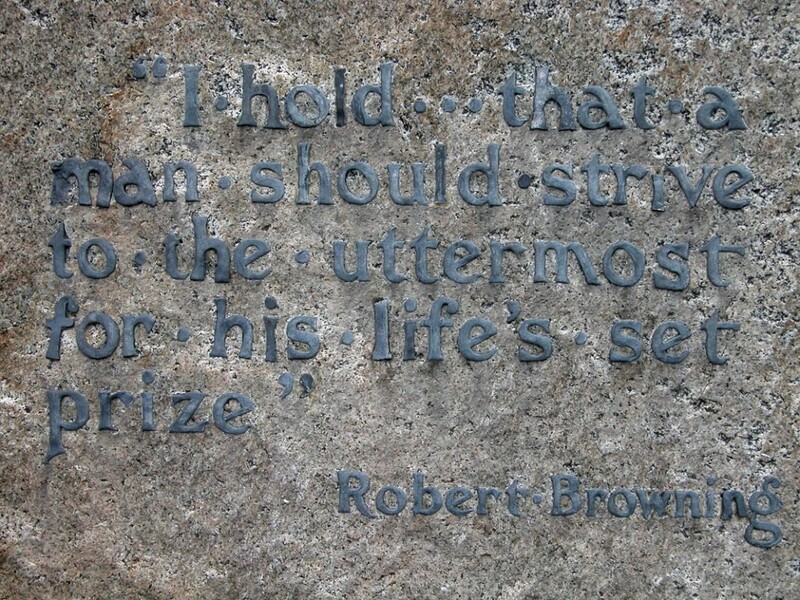 A beautiful quote from the poet Robert Browning. You can see how hard it is to see the quote in this picture. The cemetery also has a grave from the Falklands War: Petty Officer Felix Artuso. The submarine Sante Fe was attacked and damaged at South Georgia, and it ended up along side at the Whaling Station. Unfortunately PO Artuso was killed after the submarine had been captured. 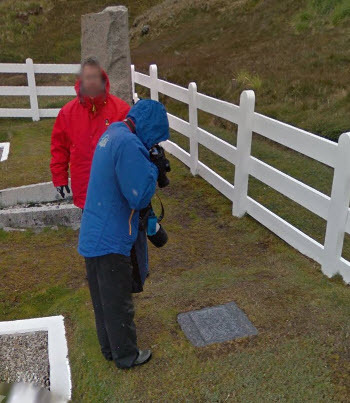 His grave is being photographed in this picture. If you look on my photos you will find lots of South Georgia pictures. It is a truly beautiful and special place. Posted in Personal. Tags: antarctica, Grytviken, Robert Browing, Santa Fe, Shackleton, South Georgia on November 28, 2014 by Mark Brandon. 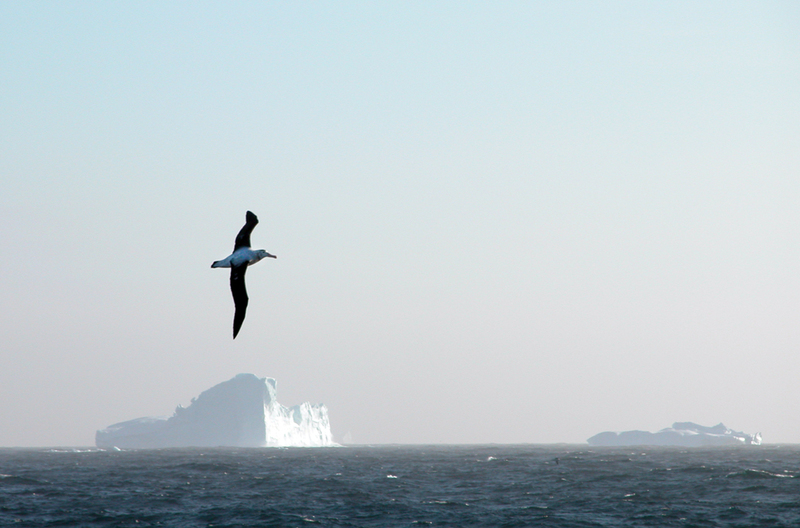 Everyone likes a wandering albatross (Diomedea exulans), but to see them swoop around icebergs is a special experience. At South Georgia you can watch this sort of thing for hours. A wandering albatross in front of Icebergs off the coast of South Georgia. You can download the full resolution image at my flickr page. 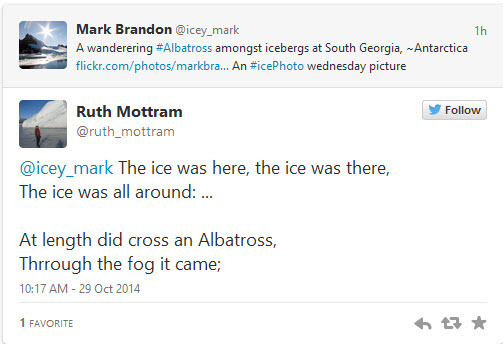 But Ruth Mottram reminded me of Coleridge and The Rime of the Ancient Mariner. 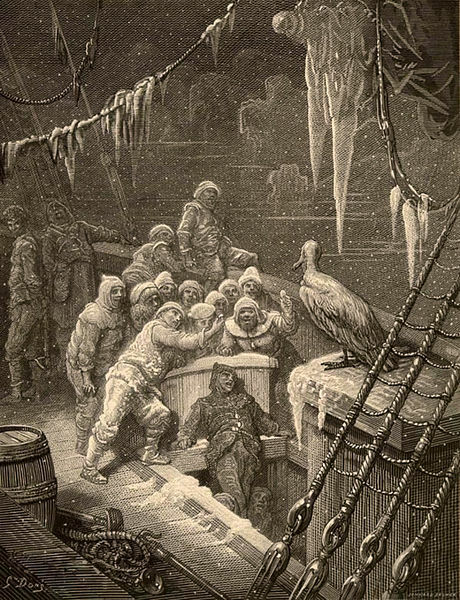 In that poem they did not feel the same way about the albatross. This is memorably captured by the wonderful art of Gustave Doré. Posted in History. Tags: albatross, antarctica, Diomedea exulans, Icebergs, South Georgia on October 29, 2014 by Mark Brandon.